Write for WebSitePulse blog Check our guidelines out. Your bio statement will appear at the bottom of the article and will contain a maximum of 2 links to your Website(s) or social channels. Email addresses are not allowed. You may provide up to three links in the body text of the article. All links should be only related to the context of the subject you cover in the post. None of the links from your article or bio statement must directly or indirectly compete with any of WebSitePulse’s products or services. Your post will be submitted on Google+, Facebook, Twitter and LinkedIn to our company profiles. You can advertise your post anywhere you like, in a short summary up to 150 words, with a link back to the original full post on this blog (let us know if you do that). 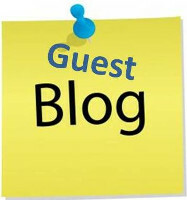 Guest blogging on WebSitePulse blog is subject to strict editorial review. Only bloggers with proven record of expertise on the subject covered will be accepted. Each post request should be sent with 3 to 5 example articles on similar subject. Submission requests sent without sample works will be automatically rejected without notification. Submissions from content marketing and link building agencies working for a third party will be automatically rejected without notification. Your article cannot be an advertisement for a product or service or the equivalent of a sponsored article. The article should be exclusive to WebSitePulse blog. It must be unique and cannot be published anywhere else in the original or modified form. Once your article is published, it will be the copyrighted property WebSitePulse. It can't be duplicated anywhere else. WebSitePulse reserves the right to remove the article if finds it elsewhere without notification. The posting should include required deadline date for our posting schedule. The article should be 1000 to 2000 words long and give profound understanding of the subject as well as references to other authoritative websites. Articles may include corresponding images, infographics or video. Keep the image sizes consistent, up to a maximum size of 515px wide, 300 dpi. The video must be hosted on Youtube, Vimeo or other popular video sharing website. Images should be copyright-free, or you should have permission from their respective owners and provide a statement of this permission upon sending of submission of your article. WebSitePulse reserves the right to modify the post content or the style it as WebSitePulse sees fit. WebSitePulse reserves the right to reject or later delete your post. In the Author's bio section the anchored text could only be a name of a Website and not a keyword. The Author's bio section content cannot be altered once it is published. Anchor texts in the article body text must be a phrase as part of a sentence. The article must not contain copyrighted content. Contains referral links/self promotion of your own products/services. Doesn’t have the original photo with author bio. Article is already published anywhere else online. Title: Must be unique and compelling. Description: 2 to 3 sentences with your post would be great. Your posts will be edited for minor grammatical errors and we may add links to the related articles from WebSitePulse blog. Any inappropriate links will be removed. If you are, and you agree to the above terms, send us your article in any format you like (text, HTML, word, etc.) as an attachment to: marketing@websitepulse.com.